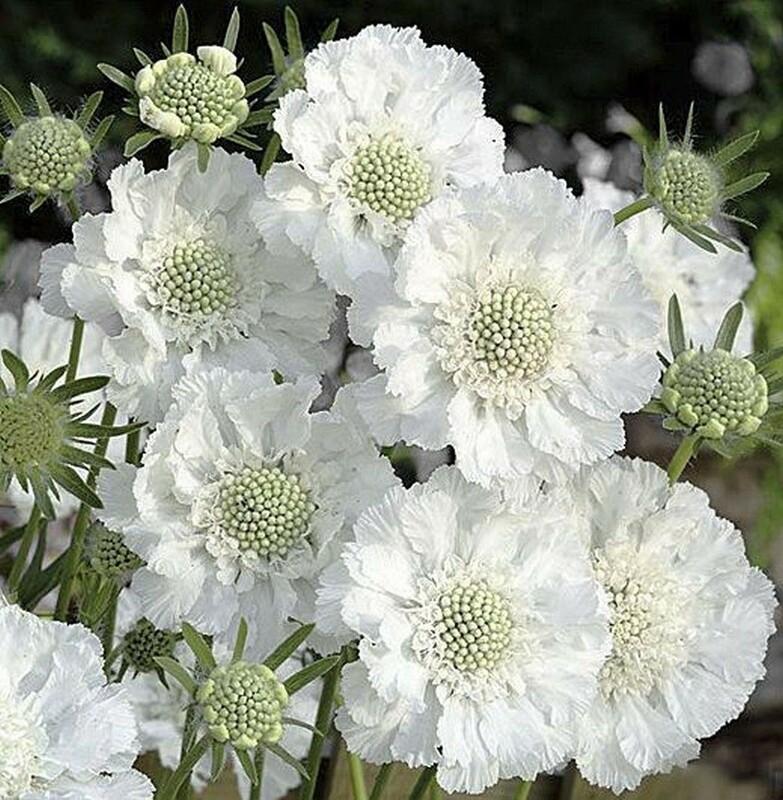 Large, frilly petalled, white flowers with pincushion centres in mid and late summer, above clumps of lance shaped, grey green leaves. 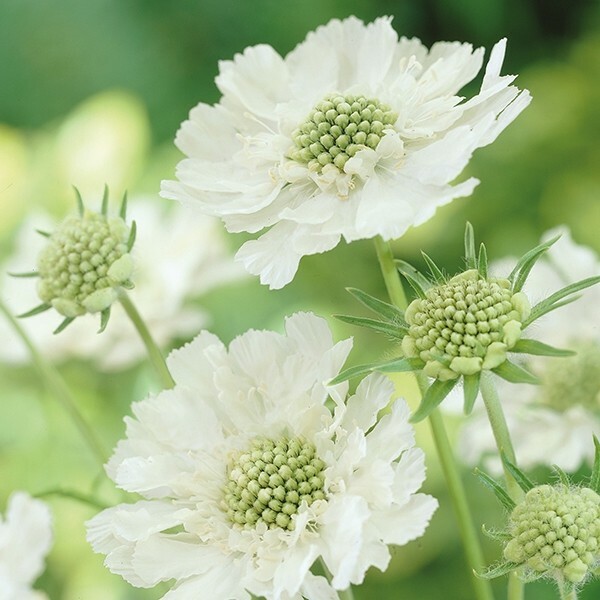 This elegant white scabious is perfect for a sunny, cottage style border. Best on fertile, chalky, well-drained ground, the flowers are wonderful companions for shrub roses. Supplied in approx 2-3 litre containers full of buds and blooms in season.